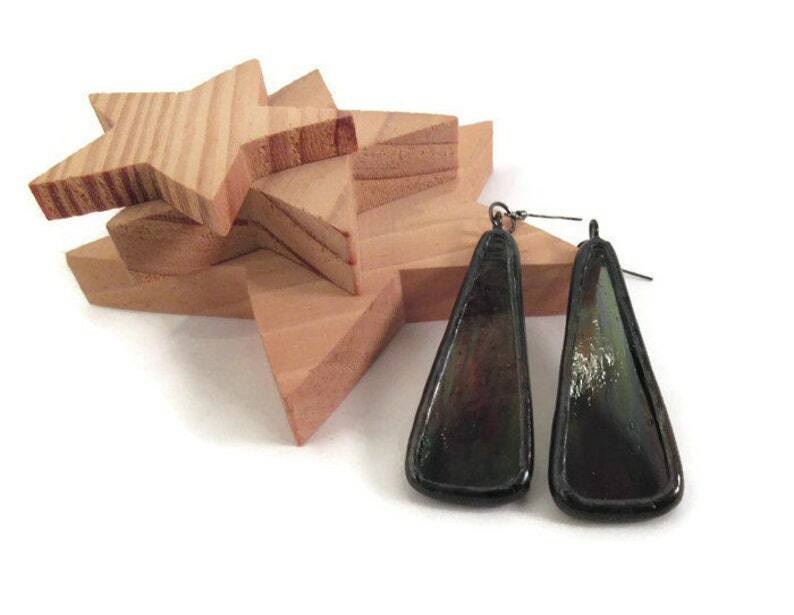 Triangle Stained Glass Earrings, creating using a beautiful streaky red,blue, green stained glass. These handmade glass and metal earrings are long and dangly, and will match almost any outfit. The glass earrings were made by foiling the cut glass and applying a nice layer of lead free solder, attaching an o ring for wires, then giving the solder a coat of dark patina. I then use a jewellers wax to polish them to a shine. They come packaged in a handmade fleece gift bag that is ready for gift giving or safe keeping.